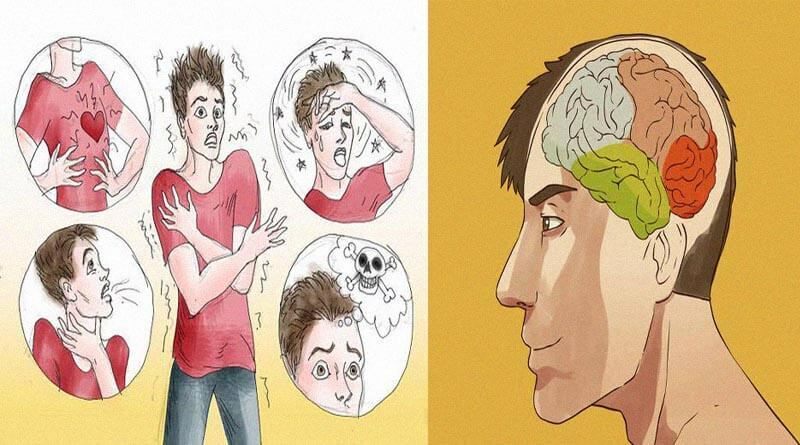 Anxiety in Your Brain: What Happens When Anxiety Attacks and How to Eliminate Panic Attacks! - ShareIt! Anxiety in Your Brain: What Happens When Anxiety Attacks and How to Eliminate Panic Attacks! I think I’m having panic attacks, but I don’t want to take anti-anxiety drugs. I’ve heard bad things about them. Is there anything natural I can do? If you are having a panic attack, you typically experience rapid heart rate, shortness of breath, sweating, trembling, tightness in the throat, dizziness, and nausea. If that sounds like your experience, I can at least assuage your fears a bit: Panic attacks can feel scary—like you’re having a heart attack—but they won’t kill you. In fact, most pass within five to 10 minutes and rarely last longer than 20 to 30 minutes. Anyone can suffer an isolated panic attack, especially during times of great stress. But if you experience them frequently—several times a month or regularly over longer periods—then you have what’s called “panic disorder.” Thankfully, in most cases, you can manage both varieties without resorting to long-term drug therapy. Conventional doctors and psychiatrists often prescribe antianxiety drugs called benzodiazepines like Xanax and Klonopin as well as antidepressants like Prozac and Paxil to treat panic attacks. But antidepressants have unpleasant side effects, and both types of drugs, particularly the benzos, may produce severe withdrawal symptoms, including (ironically) extreme anxiety. These drugs should only be used as a short-term treatment or as a last resort—and should always be coupled with an integrative program to address the root physical and psychological causes of panic so you can overcome them for good. Cognitive behavioral therapy (CBT) helps you recognize the patterns of thought and the situations that trigger your fear and panic. CBT trains you to take note of what’s going on around you and what thoughts are running through your mind right before you experience an attack. Once you can recognize these patterns, you can change them. Say you lived through a terrible tornado that destroyed your neighborhood, and now every time a storm approaches, your mind becomes overwhelmed with fear and your thoughts begin to spiral out of control. CBT shows you how to recognize these destructive thought patterns and teaches you to switch to healthier ones (I lived through this before; I’ll be fine again. I know how to protect myself. I’m a strong person). One of the best ways to take control of a panic attack: Control your breathing. When you feel yourself beginning to panic, focus on making each breath slow and deep. When we’re scared and our sympathetic nervous system kicks in to adrenaline-pumping fight-or-flight mode, our breathing becomes shallow and quick. By slowing down the breath, you activate the parasympathetic nervous system, which sends calming signals to the brain. Relaxing the body has a profound effect on the nervous system. You can accomplish this with a number of different relaxation techniques including progressive muscular relaxation (tensing and releasing discrete muscle groups in the body beginning with your feet and working your way up to your neck and shoulders, inhaling as you tense and exhaling as you release); meditation; and biofeedback (a technique that allows you to consciously relax your autonomic nervous system). All of these methods balance the sympathetic nervous system’s fight-or-flight response with parasympathetic activity that slows your heart rate, lowers blood pressure, warms your hands, and creates feelings of relaxation. Regular exercise can decrease the frequency and intensity of panic attacks by increasing the brain’s capacity to deal with stress. Exercise also increases production of the calming neurotransmitter serotonin. Aerobic exercise—about 30 minutes a day of running or speed-walking—has shown the most success. My patients have also found that 40 to 60 minutes a day of yoga, martial arts, or t’ai chi can help. Interestingly, certain foods tend to provoke panic, while others can palliate or even prevent it. Chief offenders include caffeine (from coffee or black tea), monosodium glutamate (MSG), and aspartame (the artificial sweetener in NutraSweet), all of which either directly or indirectly increase excitatory neuro-transmitters that rev up the nervous system and cause more agitation. Likewise, diets high in sugars and simple carbohydrates (such as white bread and pasta) can stimulate the output of adrenaline, as well as insulin. Both can cause blood sugar to drop, which can heighten the sympathetic fight-or-flight response and boost the output of adrenaline and cortisol. By contrast, whole foods high in complex carbs (brown rice, lentils, and fresh vegetables) and protein help maintain stable blood sugar levels and keep you on an even keel. Complex carbs also contain precursors of gamma amino butyric acid (GABA), a neurotransmitter that acts as a tranquilizer for the nervous system. Similarly, the high levels of taurine in milk, cheese, and meat stabilize the nervous system by increasing the amount of GABA in the body. You should also substitute green tea for your daily coffee. Green tea contains L-theanine, which has a relaxing effect on the mind and body. You might also want to take a GABA supplement. Limit your use to a month or two—GABA will improve your symptoms, but you’ll still need to address the psychological and physiological issues that cause your panic. Begin with 250 mg twice a day. Consider taking a multivitamin containing at least 50 mg of each of the B vitamins as well. These help the body cope with stress and use GABA more effectively. If high levels of anxiety persist, add valerian—600 mg twice a day. ← How 3 Hours of Sitting Can Damage Your Blood Vessels.